TL;DR: The secret to turning your content into serious traffic is content research tool Zag. A branding agency ran a full-page ad in the Economist that caught my eye a few years ago. 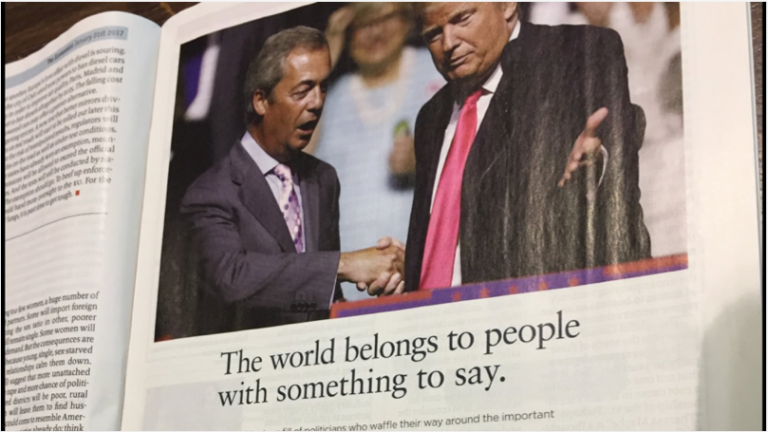 The headline read: “The World Belongs to Those With Something to Say”. Underneath the headline was a photo of Donald Trump and Nigel Farage, standing together on stage… the implication all too obvious. The ad went on to explain the world-shaking potency of having a clear and compelling message – regardless of one’s politics, and in some cases, regardless of the actual facts. They’re dead on. And to drive the point home, let’s just slightly adapt that headline: Your Market Belongs to Those With Something to Say. By contrast, most marketers seem to view their content strategy as a form of “organic retargeting” – where each ho-hum article, video or social post is the equivalent of tapping their dozing prospects on the shoulder, merely reminding them that their brand still exists. And not surprisingly, the results from a typical existence-reminder campaign are consistently underwhelming – expect perhaps a small trickle of activity each time you publish something. But it doesn’t have to be this way. In fact, what if I told you that a single post on your blog could shake your industry? (Not to mention, elevate your company to celebrity status in your niche). It’s true. And luckily, this is a knowable and repeatable process. So let’s dive in and unpack the method for discovering – and then harnessing – the real forces that drive your market so that you can turn your content into a waterfall growth channel… instead of just a drip campaign. Everything starts with understanding what forces are currently driving your market. What fears and anxieties are keeping people up at night? Are there any game-changing opportunities in play (or on the horizon)? Are there outside forces or new regulations that will fundamentally change how your market operates? Whenever possible, harnessing these types of emotional undercurrents is what will generate a chain-reaction everywhere your content gets distributed – where your initial promotion is merely the catalyst. And this chain-reaction isn’t just exposure – content that effectively taps into these undercurrents will also generate waves of new followers, subscribers, customers, and outright raving fans… which are huge marketing assets. By contrast, “filler content” will only generate pageviews. Heated Discussions: Pay close attention to all the main communities in your market (forums, subreddits, FB groups, etc), and look for topics or questions that generate anomalous spikes in discussion. Sometimes these are just internal gossip or random silliness – but on occasion, they also highlight a much wider undercurrent. Unusual Virality: Follow all of the main influencers and authority publishers in your market, and stay on top of the content that your market is sharing and talking about more than usual. Again, look for the anomalous spikes in mentions, that sticks out against the usual background. Wall Street: Yes, really. Getting daily updates on the publicly-traded companies in your industry from places like Seeking Alpha will expose you to an entirely different perspective on your market – in particular, emerging trends or changes on the horizon that will impact your industry’s biggest players (or your entire industry). With billions at stake, active money managers need to know how to price in every imaginable scenario in your industry… and this information can shine a light on incoming tides of change (that you can leverage), long before your tunnel-vision competition. Anyway, those are my go-to sources for discovering the hidden drivers in your market. Keep in mind that another valuable resource is going to be your own customers. Pay attention to sudden spikes about key concerns that show up across your support and social channels. Now that you know how to spot these undercurrents… let’s talk about how to harness them. Successfully tapping into a hot topic is equal parts art, science, and luck. The challenge, of course, is doubling-down on a message that will command attention and break through the noise. One way to do this – as illustrated by Donald Trump and Nigel Farage – is by using controversy. Or arguably, overly-simplistic solutions to complex problems. But I’d advise caution with this approach, since controversy is a double-edged sword, and it can profoundly backfire. If you’re tapping into fear, provide hope. If you can ease the fears and anxieties of people across your market with something smart, effective and plausible – especially when everyone else is running for the hills – you’ll be elevated to thought leader status almost instantly (and remembered for a long time). If you’re tapping into opportunity, provide an advantage. Clearly articulating a clever, but actionable strategy for your readers to quickly harness an emerging opportunity will position you as a primary, lifelong go-to authority for everyone who had an “aha moment” thanks to your content. If you’re tapping into a looming obligation, reduce pain. When your market is dreading things like incoming regulations or policy changes that impact everyone – look for ways to make the inevitable process as easy and painless as possible. Whether it’s a free tool of some kind, or even a curated “cheat sheet” whitepaper – these kinds of things can easily go viral across your niche, if they’re actually helpful. And in general, whatever the undercurrent is – double down on a core message that’s built on an epic solution of some kind, specifically for your target audience. This can be things like a strategy guide, a step-by-step process, a curated list of resources, or a bespoke tool you’ve created. This is the best way to cut through the noise, harness the awesome power of the emotional forces that drive your market, and drive substantial publicity in the process. Unless you already have a sizeable audience, the impact of sharing your trend-tapping, market-shaking message with a few hundred followers and subscribers – while still worthwhile – is going to be fairly limited. Niche Subreddits. Did you know that Reddit gets more US traffic than sites like Instagram, Bing, Wikipedia, Twitter and LinkedIn? What’s more, its user base is incredibly engaged, and with more than 1 million sub-communities (called “subreddits”), it’s also an audience that can be targeted with precision. But it’s also a community that can be quite unfriendly to blatant self-promotion, so you’ll want to pay attention to the “rules” of each subreddit, as well as what the norms for sharing external content seem to be. In general, you’ll want to provide primary value in your reddit post itself, where your external content (blog post, etc) is provided as a “see also” resource, and encourage discussion about it. A common format for this type of content promotion is an AMA thread, which means “ask me anything”. Considering that Hollywood regularly promotes upcoming movies and TV shows with celebrity AMA’s, you can probably guess that the amount of traffic on tap is substantial. Forums and Facebook Groups. Similar to subreddits, your niche is going to have a number of well-established communities (with thousands of active members), either on a dedicated forum site, or as a dedicated group on Facebook. 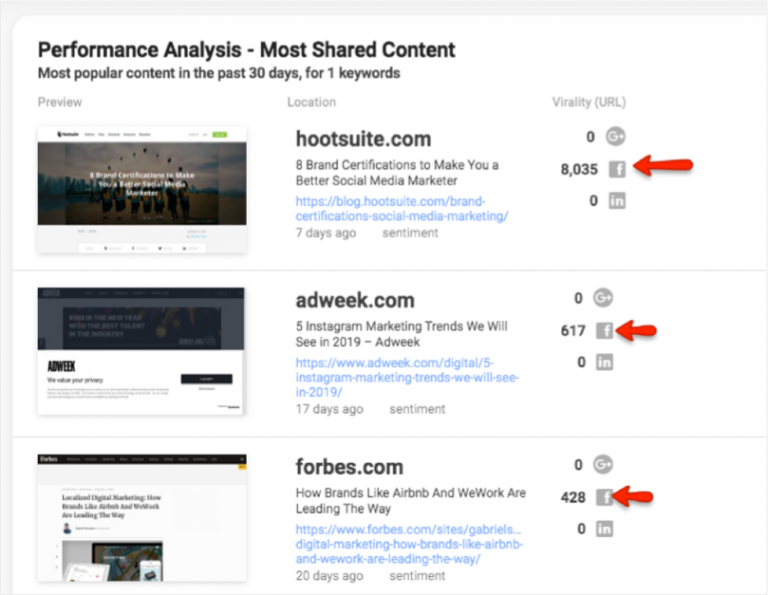 Sharing content with communities like these definitely requires some etiquette – and most groups have their own internal rules for sharing outside links. I recommend a similar approach to sharing on subreddits – and in addition, since forums/groups aren’t anonymous, it really helps to have some existing presence in the group before promoting your content. Power tip: Sometimes it makes more sense to answer questions, where you mention your content in your response (instead of starting new threads). This is frictionless and also a substantial source of traffic. Their platform has a tool called First Responders that finds questions like this in real-time, across thousands of communities, including Reddit. Paid distribution… with a twist. One strategy I’m consistently seeing to kickstart organic growth on platforms like Youtube, Medium and Quora (where engagement signals are the primary factor in perpetual platform exposure) is to use paid promotion directly to those content pieces – especially from Facebook Ads. While this does require some investment, the idea is to give your content the initial momentum it needs to kickstart the chain reaction needed to gain much wider organic exposure on other platforms… ideally letting natural growth take hold after the first few days of paid promotion. Power tip: Retargeting display ads to a segmented audience of people who have clicked to view your content (on Medium, Youtube, etc) but who haven’t yet converted, can yield substantial ROI in contrast to regular advertising. There are various other ways to distribute your content, but in our experience, the processes described above – in combination with a truly powerful message for your market – will give you the most mileage. You’ll always have a few “duds” now and then, but if you run this process consistently (even just once a month), you’ll be amazed at how much traffic and impact you can have in your market – often with just a single idea, strategy or solution. Yes, it’s more involved than low barrier activities – like simply posting your content across your own channels. But at the same time, pound for pound, I’ve yet to discover a more effective way to drive serious, game-changing exposure with content marketing. And on top of it all, this is to say nothing of the SEO impact that this kind of substantial promotion can have for your brand’s domain… but that’s a whole other discussion. Bottom line: Just try this process once, and watch what happens.